Usain Bolt, 30, and Jady Duarte, 20, met at a celebration for this birthday, and slept together shortly after. After Jady shared photos of their encounter with friends with a private messaging app, the pics leaked and the affair went viral. Here are five things to know about the student who spent a night with the nine-time Olympic gold medallist. Rio outlet Extra obtained an interview with Jady, and she told the paper that she didn’t recognize the athlete at first. “It was not a big deal. It was normal…I’d rather not talk about it, to not complicate[it],” she added. By the time they slept together, though, she was aware of his identity. Jady is the widow of Douglas Donato Pereira — known as Diná Terror — a notorious drug lord who was killed in a shootout with police in March 2016. 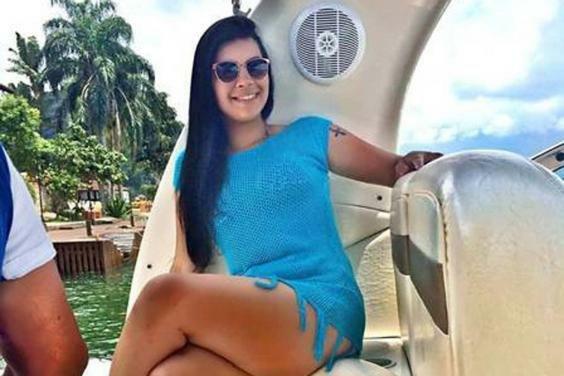 Police say that among other crimes, Pereira tortured and murdered two teenaged girls, and fronted the narcotics trade in Northern Rio. Prior to his death, Pereira would post photos of himself on social media, posing with guns and boasting about how he was the “terror of policeman”. He also referred to himself as the Lord of War. Police eventually tracked him down in his home, and he was killed in a shootout. Their names, ages and whereabouts are unknown, but Extra reports that Jady has two children from her marriage to Pereira. “In eternity, I will be with my love the way I always wanted, because in heaven all the time is time to be happy,” she wrote on Facebook. “God will take you in, it’s my hope that in eternity I will see you.” She also posted photos of her and Pereira together on Instagram. Jady texted photos of her and Usain in bed to friends using WhatsApp, and of course, the pics have since leaked.